A while back I wrote about the the untold stories from South Korea I mentioned that I wanted to write and share more about one of the kids who accept Christ so here it is. Although she is only 5 years old she is by far one of the most thoughtful people I have met. Ella remembers people and the details in their lives! (As an adult, I still struggle to do that). I told my class things that were important to me ... when my family was visiting Korea, when baby Elliot was due, when baby Zach was due, when Alisha's Mom's birthday was, etc. 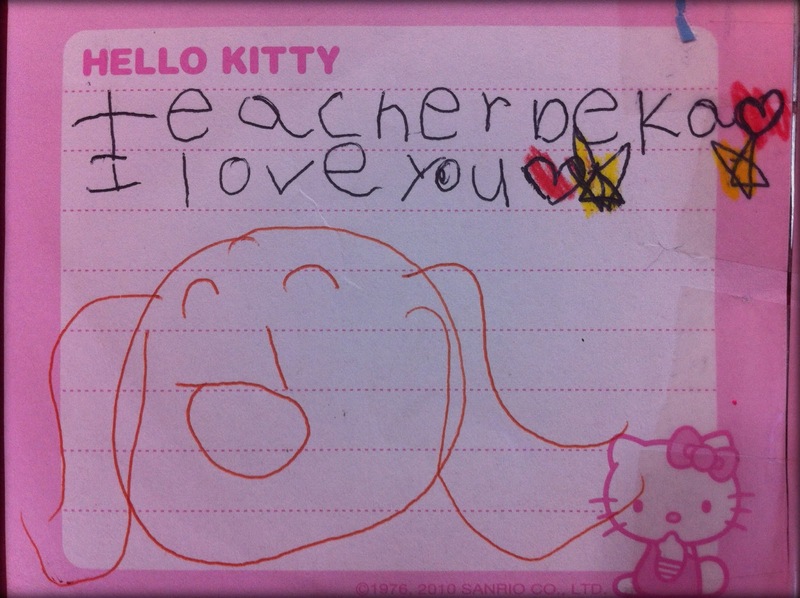 I know kids normally don't care about their teacher's personal life but Ella did. When it was time to review the day, month and upcoming events, if I didn't mention one of my personal family events she would say something like "Teacher Beka, Stephanie baby, in February", followed by a big baby belly mimic with her hand and so on. 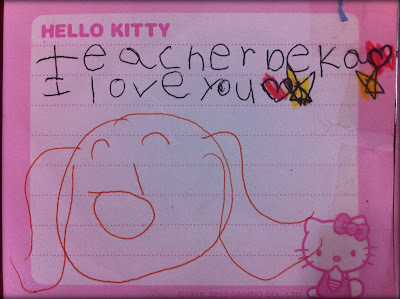 Ella also wrote me some sweet notes. Here is a funny one that I received for Teachers day, I love it and I have it kept in my Bible. It doesn't look like much, does it? I didn't think so either until Ella explained it. 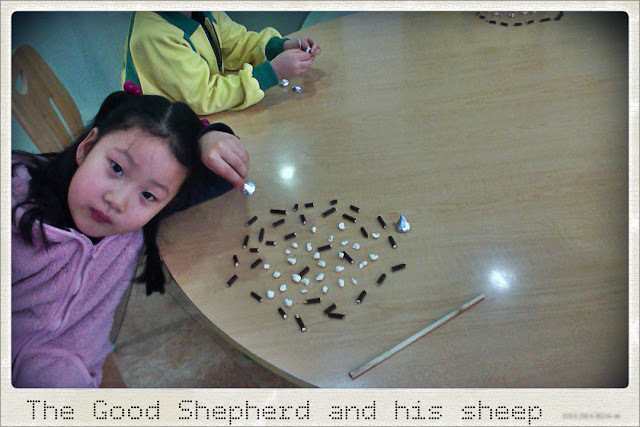 She said the brown chocolate sticks were the gate, the white pieces of marshmallows were the sheep, the hershey kiss on the outside of the gate was Jesus and the hershey kiss she was holding up was God! WOW! 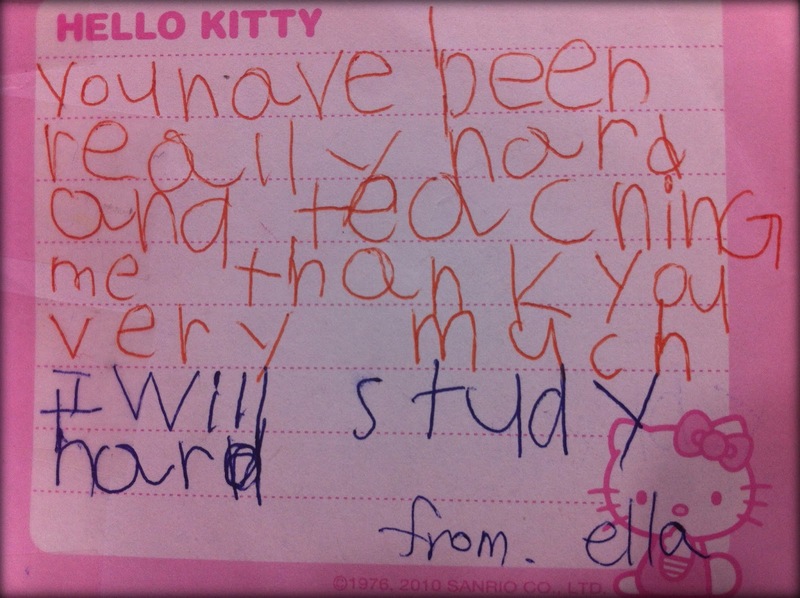 I immediately teared up as I had no idea that God's message of love had sunk that deep into Ella's precious heart. Sometime in January, after the kids had heard about Jesus and his love for them for quiet some time, I was curious to see if any of the kids had actually asked Jesus to come live in there heart. I thought I would ask but I didn't expect a response. Lo and behold, Ella raised her hand and told me she had asked Jesus to come live in her heart. I still was skeptical ... so I started asking questions. She told me she was at home, and prayed alone and asked Jesus to save her. I was blown away! I even asked again the next day to see what she would say and she said "Teacher, two times now" =) I explained as best as I could that you only had to do it once. 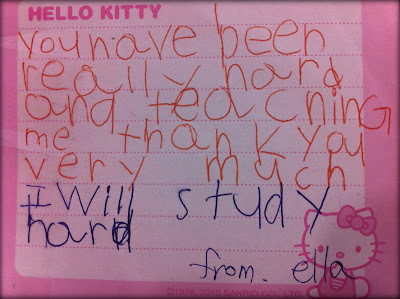 So that is the story of little Miss Ella accepting Christ. 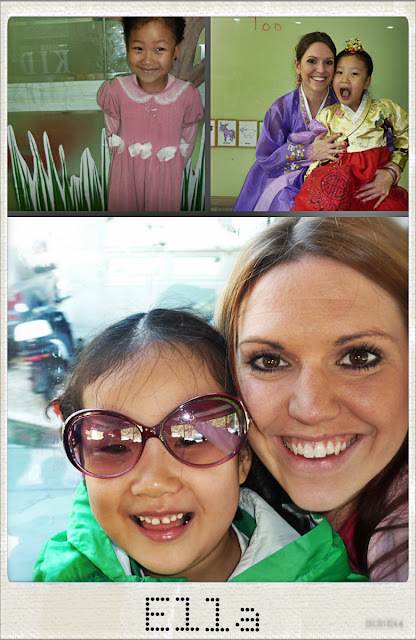 I'm still amazed at the work God can do through teaching kids about Christ through a second language. It just shows the power of the cross and that a language barrier can't stop the Holy Spirit from revealing the gospel to a 5 year old. Ella received an English Bible at the end of the school year and I am trusting God to send someone to help her grow in her faith. Would you add Ella to your prayer list? I know God will answer! For I am not ashamed of the gospel of Christ: for it is the power of God unto salvation to every oen that believeth; to the Jew first, and also to the Greek. This is so amazing. What a privilege to be able to share the love of Christ. So different from here. If you even let slip the name Jesus in school you can expect a big lecture and reprimand. You're a blessing to the world Beka. May God continue to have favor on you guys.